K.C. Reddy was the first Chief Minister of Mysore State. His contribution to the democratic form of government in the current day and age is indispensable. 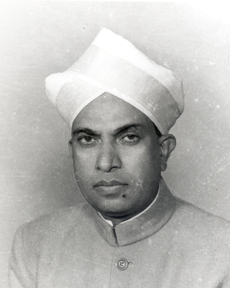 Kengel Hanumanthaiah was the second Chief Minister of Mysore State, now Karnataka. He was the main force behind the construction of the Vidhana Soudha, Bangalore.